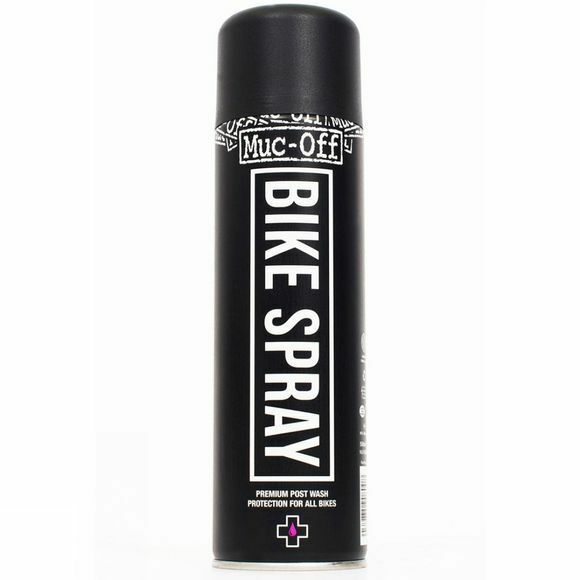 The Muc-Off Bike Spray is an after wash 'all over' bike protector. With the sprays incredible water dispersing action and corrosion inhibitor you'll be able to preserve your bike and keep it fresh. With its increased oil content it drives out moisture and leaves a sparkling, non-sticky protective layer on your frame, drive train, metal parts and paintwork.